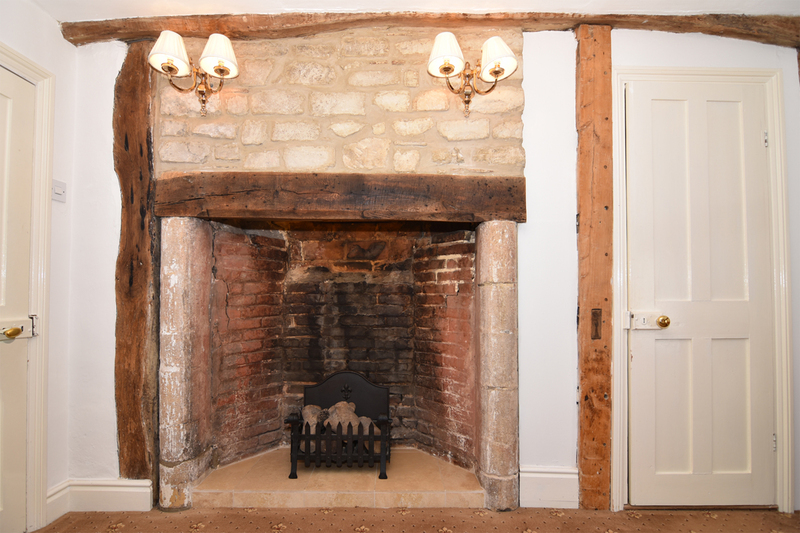 In the Tudor building, on the first floor, with an Abbey stone fireplace and wall, and revealed ancient beams, this room is particularly interesting and unusual. 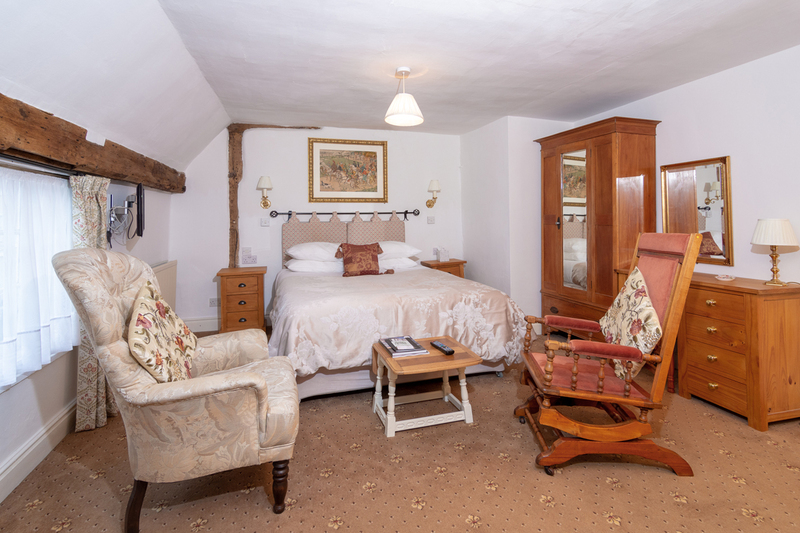 A comfortable high backed chair, together with a rocking chair, adds charm and character to this lovely room. 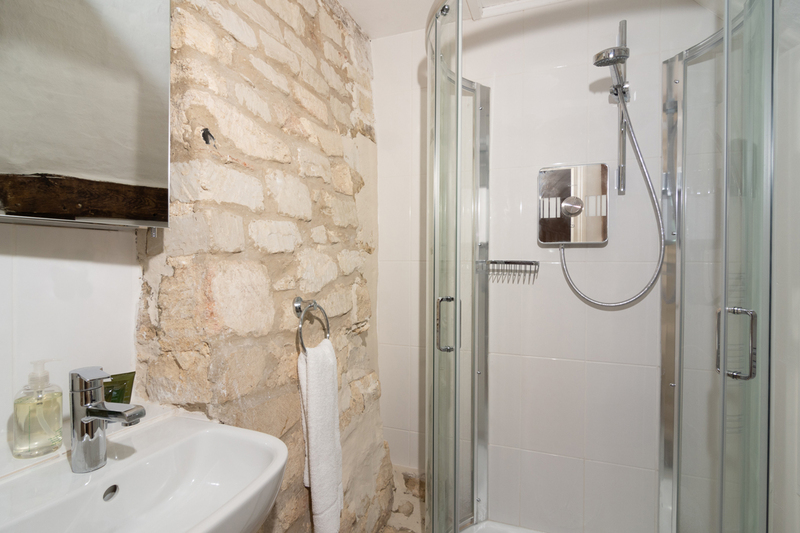 The small, pretty bathroom has a modern shower; together with a stone wall made of the last remains of St Botolph's Chapel which was on this site. An unusual and delightful hotel bedroom.